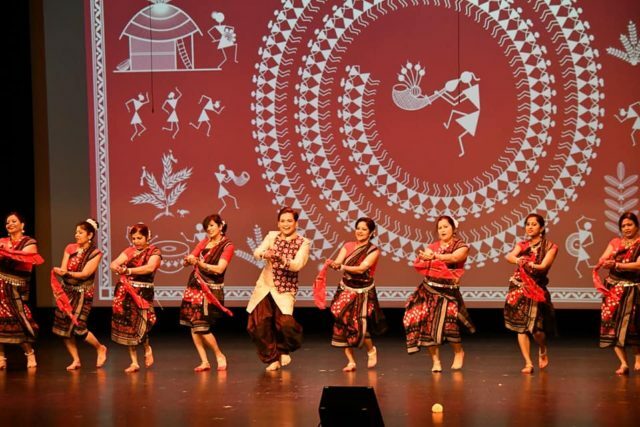 Bhubaneswar: Odisha Society of the Americas just concluded its 49th Convention in Dearborn, Michigan. 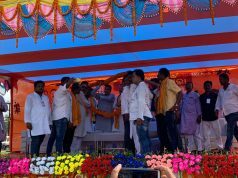 It was a mega 3 days’ event (July 5th – 7th 2018) unsurpassable in terms of venue, hospitality, cultural programs, seminars, mehfil, and varieties of food including Odia pan stall at the Ford Performing Center dining hall. The hospitality of the Michigan chapter was widely appreciated by one and all attendees at the convention. 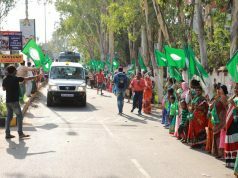 They spent a year preparing for this convention and left no stone unturned in making a grand success. The inaugural morning on 5th of July, concluded with the OSA awards listed below. Dr. Annapurna Devi Pandey is a very well-known personality in the OSA community, in USA and worldwide for her numerous contributions as an anthropology and sociology scholar, educator, writer (both in Odia and English), orator, social activist, filmmaker, organizer, and a life-long volunteer for Odisha and Odia cause. Dr. Pandey just completed a senior Fulbright U.S. Scholarship (2017- 2018) working in Odisha, India. She is an accomplished filmmaker (Homeland in the Heart; The Myth of Buddha’s Birthplace (with Prof. James Freeman) and Road to Zuni. She was President of the Orissa Society of the Americas (2011- 2013), the oldest socio-cultural organization of diasporic Odias in North America. Smt. 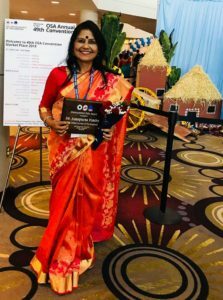 Kuku Das has been a successful entrepreneur, community leader and cultural ambassador of Odisha not only in California Bay Area but for much of USA for more than 2 decades. She is instrumental in propagating Odia language (Co-founded Chala Ame Odia Sikhiba), drama, culture in Bay Area California. She has written, directed and acted in numerous plays for kids, adults and brought RDF (OSA regional Drama Festival) to California for the first time in 2013. She also excels as a costume and set designer with her creative ideas and immense knowledge about Odia culture and history. Dev is a self-directed learner, collaborative worker and community contributor. He seeks continuous learning opportunity as a student, prioritizes his goals and takes responsibility for his choices. He is a top performer and is motivated by academic challenges. He is a keen observer and is able to recognize issues of critical importance around him and has demonstrated drive and passion to contribute positively to his community. As a youth volunteer and leader, he is very organized in his approach and executes his work diligently. As a youth leader, he provides mentorship and guidance to younger students. He has led community fundraising efforts supporting the performing arts and social causes. Sabrina, daughter of Shri Madhusudan and Bharati Khuntia of Chicago, is not only a bright academically but also a talented Odissi dancer. She has been learning dance from Guru Shrimati Ipsita Satpathy of Utkalaa Center for Odissi Dance, starting at an early age of 6. After years of hard work and training and successfully completing all the requirements of this dance form, she graduated with a Manchapravesh (solo three hour performance) in 2017. During her training with her Guru she has performed in many social and cultural events in and around Greater Chicago area, numerous non-profit organization fundraisers. All the participants appreciated the sumptuous food provided by the convention. The Michigan chapter went out of the way to bring the food and flavor of Odisha to the participants. Just to single out a few Odia delicacies – ghanta; jahni posta; saga bhaja, badichura, macchabhaja with Pakhala; sweets like kakara, arisa, kalajamun, jalebis and mysore pag among others. Cultural programs: The visiting artists, Saswat Joshi & team and other musicians lent authenticity and grace to the cultural performances performed throughout the three- day event. The cultural programs at the Inauguration, Odissi programs, Sambalpuri folk dance, Promode Patnaik Inter-Chapter drama, Sabrina Biswal Performing Art program, cultural program of different chapters namely Ashoka, Kharavela, Mehfil, grand finale were very entertaining. Our young adult’s involvement in Samyak Sigh entrepreneur competition, Sabrina Biswal Performing Art, Champu/Chhanda, Odia vocabulary and Speech were very enjoyable and encouraging. Al the attendees received a copy of the Odia directory and Urmi, the Souvenir which was outstanding. The team supervising the Souvenir did an amazing job putting together a very hefty volume of writings by the young and the old, covering a variety of subjects. The 50th convention will be held in Atlantic city, New Jersey in 2019. It is going to be a grand affair to celebrate the OSA jubilee – a singular achievement of the Odia diaspora.